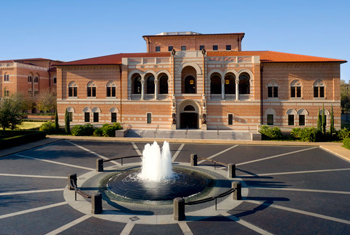 Rice University’s Jones Graduate School of Business has the No. 4 graduate entrepreneurship program in the U.S. for the third consecutive year, according to rankings announced this week by the Princeton Review and Entrepreneur magazine. This marks the sixth year in a row the Jones School has been ranked as a top 10 program in graduate entrepreneurship. The 2014 ranking was based on a review of more than 2,000 U.S. undergraduate and graduate programs. The survey results will be published in the October issue of Entrepreneur magazine. The Jones School’s entrepreneurship program was founded by nationally recognized faculty led by Al Napier and Edward Williams. This year, Yael Hochberg, the Ralph S. O’Connor Associate Professor in Entrepreneurship, was recruited from Northwestern and MIT to further enhance the Jones School’s entrepreneurial initiatives, and is a recognized thought leader in venture capital, accelerators and funding for entrepreneurial enterprises. The school offers more than 25 courses taught by professors with significant entrepreneurial experience. The Rice Alliance for Technology and Entrepreneurship provides students with unparalleled co-curricular opportunities to enhance their classroom education and apply it to real startups while they are still in school. “Through programs such as the OwlSpark Student Accelerator, Rice Business Plan Competition, Ignite Silicon Valley Trek and flagship venture capital forums, students can identify promising new technologies, receive mentoring, meet early stage investors and be well on their way to launching successful technology startups before they graduate,” said Brad Burke, managing director of the Rice Alliance. Earlier this summer, the Rice Alliance was recognized for the second year in a row as the No. 1 university business incubator in the world by UBI Index, a research group based in Sweden. This is an acknowledgment that more than 1,500 early stage companies have benefited by participating in the 160-plus programs the Rice Alliance hosted and have raised in excess of $2.8 billion. The Princeton Review survey evaluated schools in the areas of entrepreneurship, business fundamentals taught in the classroom, departments staffed with successful entrepreneurs, excellence in mentorship, provision of experiential or entrepreneurial opportunities outside of the classroom, as well as nontraditional features that distinguish the programs. To view the complete rankings, visit http://www.princetonreview.com/schoollist.aspx?id=766.